The Mach 429 Trail felt more relaxed and trail worthy than your typical short travel 29er (click to enlarge). Editor’s Note: We’re excited to welcome longtime forum member Kent Robertson to the front page of the website. Kent (or KRob) has been riding — and evaluating — bikes for almost two decades, and his insightful analysis is a welcome addition to the Mtbr editorial team. You can read more of Kent’s bike reviews here. Also note that Kent’s pal Nate helped out with this review. 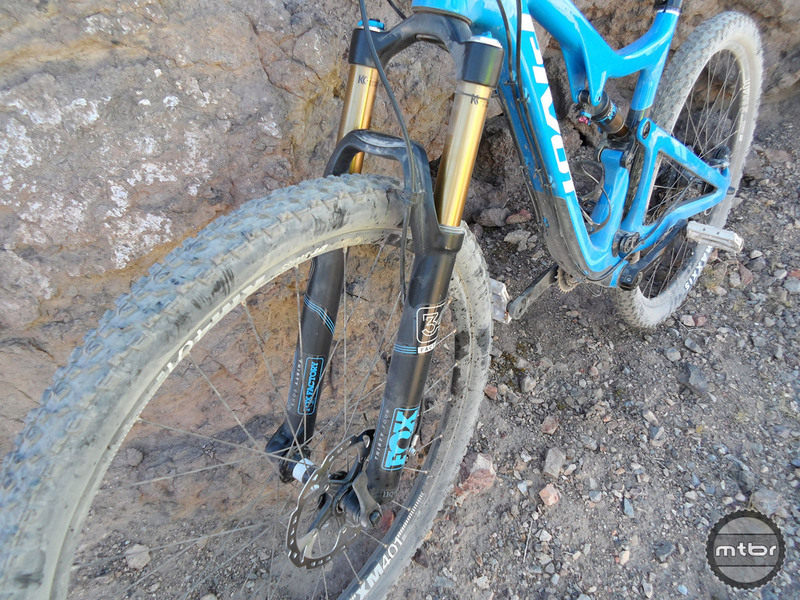 That’s the PR spew surrounding the new Mach 429 Trail — and Pivot lived up to their words. The new trail version of the Mach 429 has all the benefits of riding a larger wheel size with the feel of a mid-size, plush bike. The 429 Trail is part of a new league of aggressive 29ers hitting the market this year. We put the Mach 429 Trail against The Following by Evil (Read that First Ride Review Here) on our Interbike Outdoor Demo test ride. The two bikes were extremely comparable in geometry and feel despite the Following being a size medium and the Mach 429 Trail a large. It was tough to find much lacking in either one. 2×11 Shimano gearing, with internal routing on the chainstay only (click to enlarge). The most noticeable difference was that the front wheel on The Following looked like it was extended out more in front of you than the 429, which felt exactly like a mid-size wheel from the cockpit. However, the numbers are actually very close. When you look at the math, there are indeed very few differences between these bikes. But those departures do explain some of the differences in how these two feel on the trail. Though they have similar wheel bases, how they get there is what’s different: The Following has a longer front center and shorter rear center along with a slightly slacker and lower stance compared to the 429 Trail giving it a more aggressive bent. Here’s Pivot front man Chris Cocalis talking about all the new-for-2016 bikes. We knew these wagon wheels would handle the climbing (and we were tired), so we opted to shuttle up and come down the Boy Scout trail. After riding the same trail on the Pivot Mach 6 and other long-travel bikes, I was surprised how smooth the 429 Trail still felt on the ledges and rocks. This can be credited to Pivot’s improved, “trail-tuned” dw-linkage, stiff rear triangle, and the slacker head angle of this “trail” model. 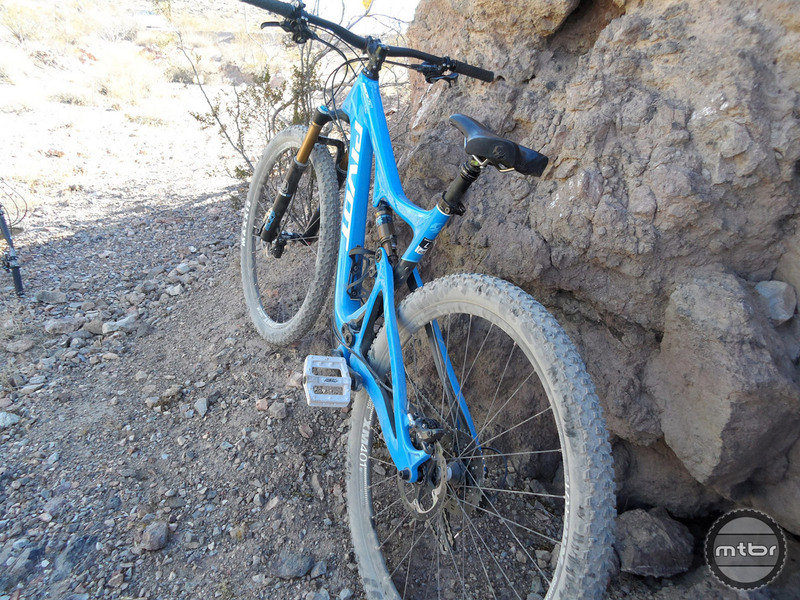 This bike covers a wide range of riding from XC to aggressive trail (click to enlarge). The suspension has Pivot’s bottomless feel, despite only having 116mm of travel. 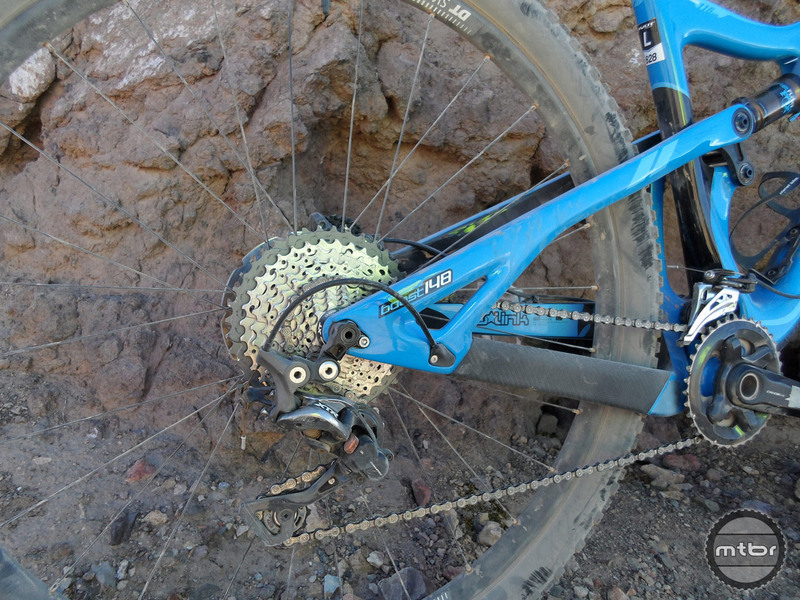 When it came to riding down Girl Scout, a more flowy trail, the Pivot Mach 429 Trail really shined. It was quick and responsive in the corners, with just the right amount of stiffness to really push through and pick up speed. If I didn’t know it was a 29er, I would have believed it was a 27.5 like I’m used to riding. I wonder if the shorter front/longer rear on the Pivot will help on steep technical climbs. Is that the tradeoff for a short chainstay on a bike like the following? Could you share your height and inseam measurements + how the L size 429T felt? Thanks! Boost doesn’t guarantee that your 29er frame will accept a 27.5+ rear tire. Boost refers to the hub spacing, and doesn’t promise huge tire clearance. You can still have a Boost bike with tapering chainstays that don’t let you run more than a 2.4. Are you saying that the 249 Trail specifically allows for 27.5+ tires front and rear? If you look at the bike profile on Pivots website, you’ll notice that the bike is made to be compatible with 27.5 + setups in partial thanks to the boost axle giving a little extra clearance thats needed. This bike is made to be a 29 or 27.5 + bike. Just curious about why you are “not a fan of 29” bikes in general.”? Are you not tall enough for 29er wheels to make sense? I’ll also ask what size frame? I have the same question as Erik, I am 5’11”, 33.5′ in seam and cannot decide between a lg and med for the Pivot. While I can respect your decision to shuttle rather than ride up (it looks like you guys rode a lot of bikes at the Outdoor Demo and tired legs are no fun), it seems a bit disingenuous to turn around and claim that the bike is a “great all-around trail bike” or perfect for “big climbing days” when you haven’t actually spent significant time climbing on the bike.